Replacement Conveyor Belt Part for ®Middleby Marshall PS360, JS350 and PS555 Ovens. 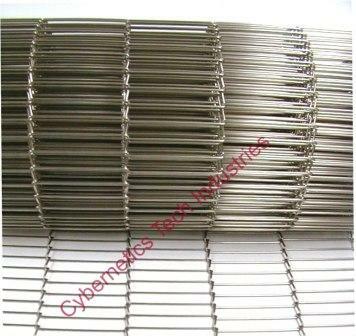 Replacement Conveyor Belt Part for ®Middleby Marshall PS570 Pizza Ovens. Replacement Conveyor Belt for ®Middleby Marshall PS360WB (55") Pizza Ovens. Replacement Belt Part for ®Middleby Marshall PS360WB70 Pizza Ovens. Replacement Belt for ®Middleby Marshall PS360EWB Pizza Ovens. Replacement Conveyor Belt for ®Middleby Marshall 15" Split Belt Pizza Ovens. Replacement Conveyor Belt for ®Middleby Marshall PS200 (32") Ovens. Replacement Belt Part for ®Middleby Marshall PS310 Ovens with 24" Belt. Replacement Conveyor Belting for ®Lincoln 1000 Series Pizza Ovens with 32" Belt. Replacement Oven Belt for ®Lincoln 1100 Series Ovens with 18" Belt. Replacement Belt Part for ®Blodgett 3870 series Ovens with 38" Belt. Copyright 2019 Cybernetics Tech Industries LLC The ® symbol designates a registered name and trademark of the respective company. Cybernetics Tech Industries does not represent the oven manufacture or its dealers.